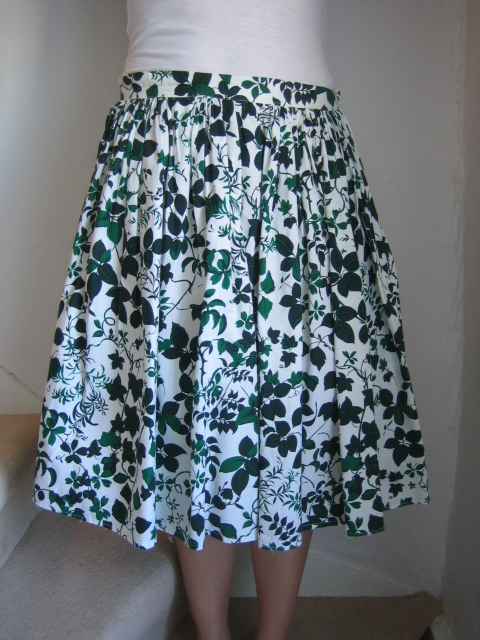 Vintage 1950s hand-made very full skirt with green leaf print. 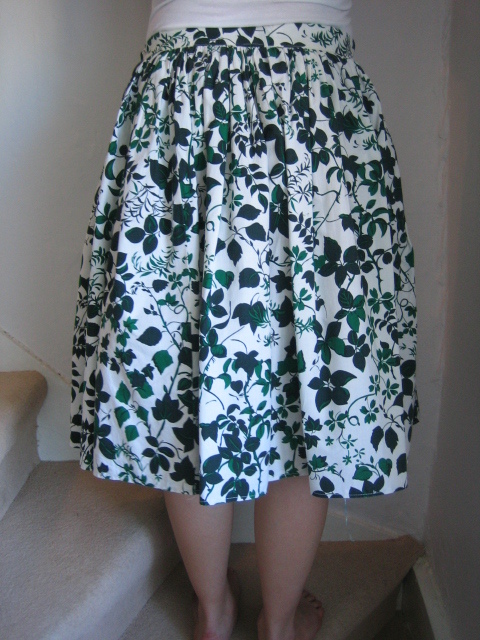 This is such a typical fifties print - and such a gorgeous skirt! 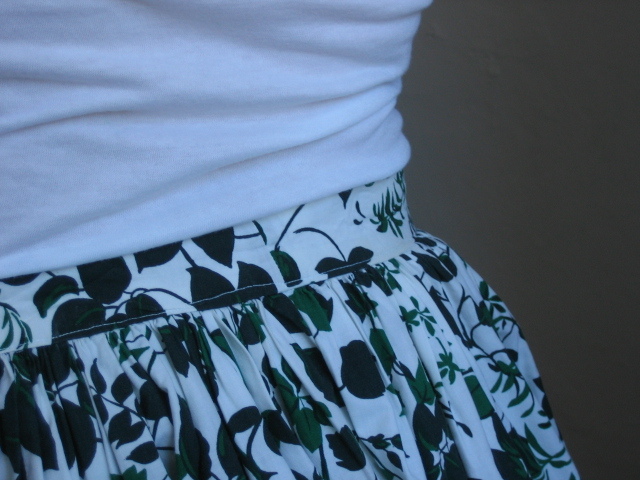 It's made from cotton, with a very full skirt gathered onto a one inch- (2.5 cms-) wide waistband. 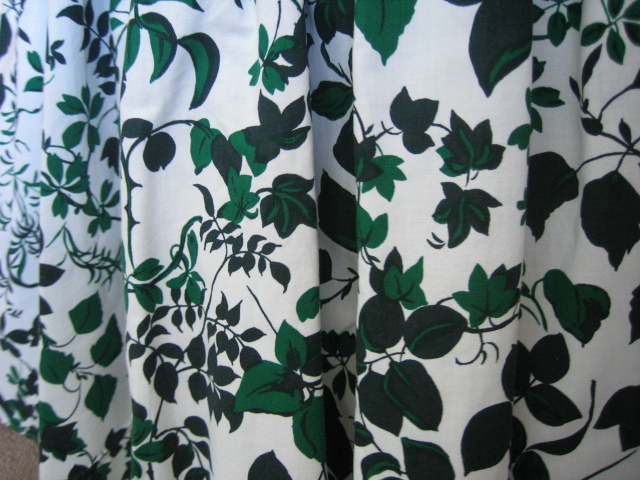 The base colour is white, and this is literally covered with leaves in two shades of green - emerald, and a darker shade. The leaves appear to all be based on reality: I'm no botanist, but even I can recognise ivy, ash and beech when I see them. 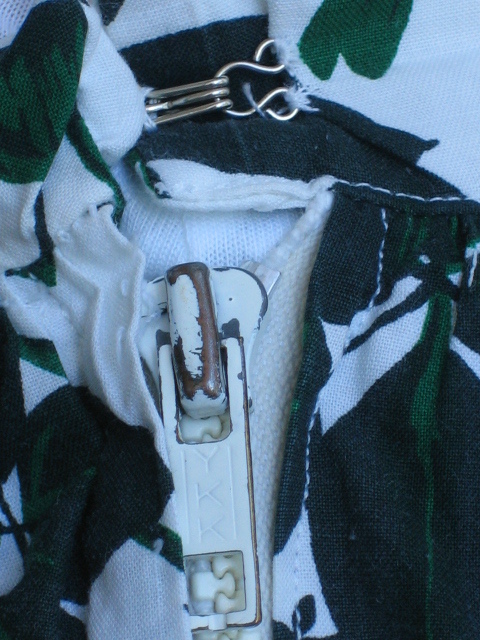 The skirt fastens with a short, chunky zip, and a hook and eye. 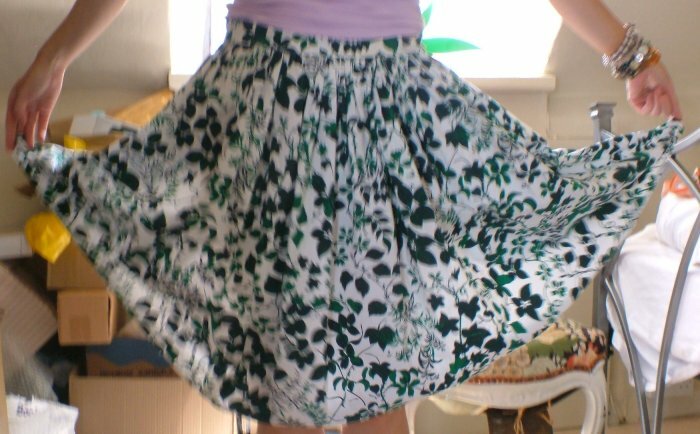 It is in fab condition, and feels brilliant on! 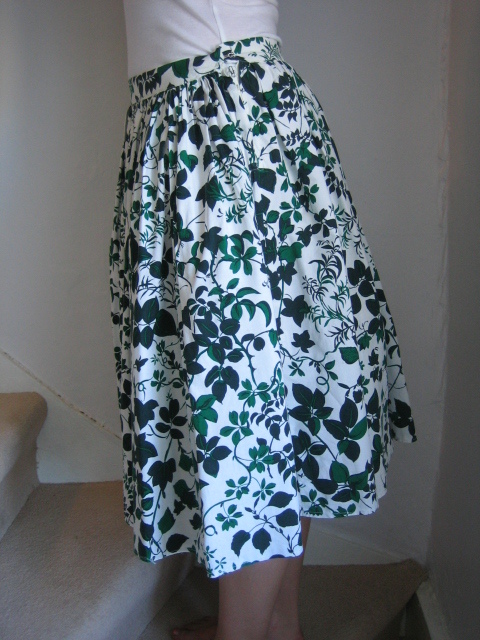 Approximate measurements are: circumference of skirt: 120 inches (304 cms); length from waistband: 23 inches (58cms); waist: 32 inches (81 cms).